Recently I have discovered swapping. For those of you who are familiar, swapping can be very exciting. I was doing like 10 swaps a week! The thought of swapping my unwanted polishes for another that I wanted is so exciting. 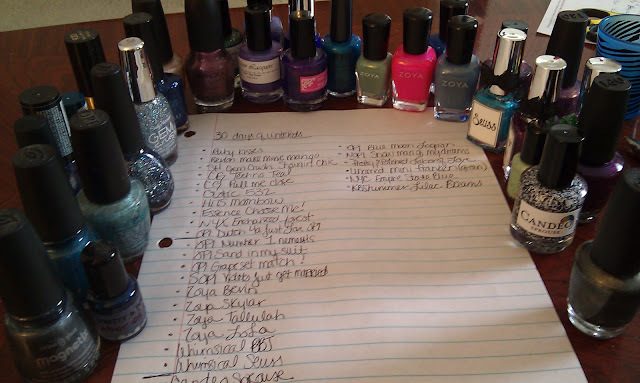 Because of this, my collection has stayed about the same in terms of the number of polishes, However, my untrieds tray has gotten kinda full. 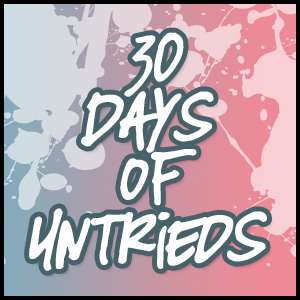 For this reason I have decided to start the '30 Days of Untrieds' Challenge. I will be featuring an untried polish from my tray everyday for 30 consecutive days. 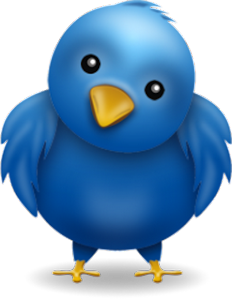 I am posting my first untried tomorrow. I am excited to do this challenge and I hope you all enjoy the ride as well! Such a cool idea! Can't wait to see what you come up with! Thanks! I have some good ones in there! I have a bunch of those in that pic haha! I can never do a swap. Everytime I try and get rid of polishes I start to get anxiety the second I start separating them and have to put them all back. I am the same, until I am lemming a polish so bad I will swap anything I have for it!